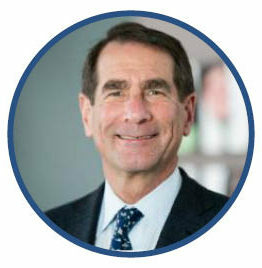 Alan D. Solomont is the Pierre and Pamela Omidyar Dean of the Jonathan M. Tisch College of Civic Life at Tufts University. The mission of Tisch College is to ensure that every Tufts student acquires the values, skills and knowledge needed for a lifetime of active citizenship. Previously, Solomont was the United States Ambassador to Spain and Andorra, where he helped to strengthen Spain’s partnership with the United States on matters of global security and economic cooperation. He and his wife Susan promoted the values of volunteering and citizen service throughout Spain. Prior to his diplomatic service, Ambassador Solomont was an entrepreneur, philanthropist and political activist. He served as Chairman of the bipartisan Board of Directors of the Corporation for National and Community Service (CNCS), the federal agency that oversees all domestic service programs, including AmeriCorps, VISTA and Senior Corps. He was initially appointed to the Board by President Clinton in 2000, re-appointed by President Bush in 2007 and elected chairman in 2009. Dean Solomont serves on the boards of several nonprofit and for-profit organizations including Avangrid and MAPFRE USA. He is also the Chairman of the Spain-U.S. Chamber of Commerce in New York.